Jatarie White scored 17 points, Joyner Holmes added 14 with 10 rebounds, and the No. 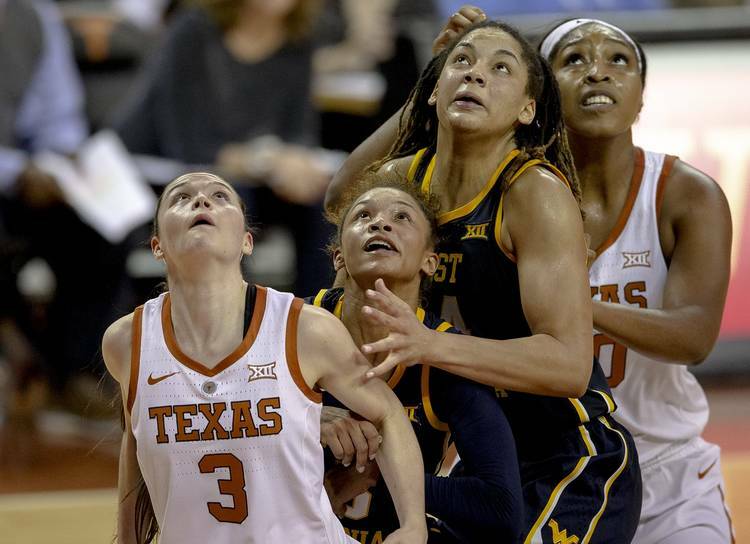 12 Texas women’s basketball team led the whole way in a 76-67 win over Oklahoma on Saturday in Norman. Danni Williams added 13 points and Sug Sutton 10 with seven rebounds, six assists and four steals for the Longhorns (18-4, 8-2 Big 12) in the bounce-back win.